David R Cragg, MD practices as a Cardiologist in Troy, MI. 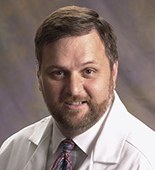 Services David R Cragg, MD provides cardiology services in Troy, MI. A cardiologist is a physician who is certified to diagnose and treat disorders of the circulatory system and the cardiovascular system — the heart, arteries and veins. To learn more, or to make an appointment with Michigan Heart Group, PC in Troy, MI, please call (248) 267-5050 for more information.